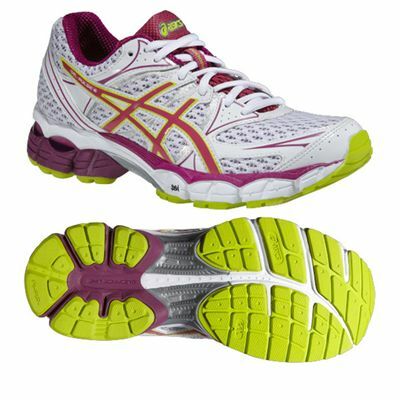 The Asics Gel-Pulse 6 ladies running shoes ensure reduced weight of the sole unit and lightweight performance thanks to the Trusstic System® and feature the Rearfoot and Forefront GEL® Cushioning System for excellent shock absorption. These neutral shoes provide great cushioning and offer the Guidance Line technology for enhanced gait efficiency. The SpEVA® Midsole Material guarantees improved bounce-back characteristics, while the 3M reflective material enables running in poor light conditions. for submitting product review about Asics Gel-Pulse 6 Ladies Running Shoes AW14.